Edinburgh Farmer's Market runs every Saturday all year round between 9am and 2pm on Castle Terrace. The Scotch Whisky Experience is set to launch its new tour experience the “Morning Masterclass” aimed at Scotch Whisky enthusiasts. Visitors will begin their experience in the awe inspiring surroundings of The World’s Largest Collection of Scotch Whisky where they will have the opportunity to view this record breaking Collection over coffee and shortbread, and discover stories behind some of its hidden gems. 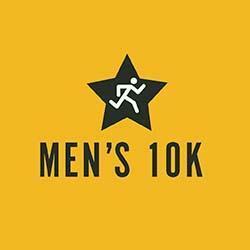 Not only are these events fantastic 10K timed runs but they also provide a proactive and challenging way to engage men in healthy physical activity and to promote health and wellbeing all year round. Whilst every care has been taken to ensure the accuracy contained in this guide, we cannot accept responsibility in respect of any error or omission which may have occurred. Please check with the event organiser's website for latest information, times and dates.